Chiropractic is an art, science and philosophy specializing in restoring normal balance and function to the neuromuscularskeletal system and thus, facilitating the body’s natural ability to heal itself. The term ‘Chiropractic’ means practiced by hand and, as the name suggests, Chiropractic is a drug and surgery-free, hands-on alternative to health and healing. The first Chiropractic manipulation was performed in 1895 and since, the primary health care profession has become the 3rd most popular in the world. Doctors of Chiropractic are highly skilled at assessing and treating neuromuscularskeletal conditions which affect the nervous system, muscles and joints in the body and specialize in the biomechanical integrity of the spinal vertebrae. Chiropractors are highly skilled at assessing the biomechanical integrity of the vertebral joints in the spine in terms of mobility and function. Individual vertebral joints that are not functioning normally may irritate the spinal nerve that exits their ‘intervertebral foramen’/opening. This irritation may affect the related nervous supply and result in back pain, neck pain and many other problems. The Chiropractor aims to identify and manipulate or adjust the dysfunctional joint, and thus, restore natural balance, mobility and function to the body. • Babies and kids- “as the twig bends, so grows the tree”-David Noer. Children’s bodies and nervous systems are rapidly adapting as the grow. It is important to correct any spinal problems early in life. • Office workers- Today’s world requires us to sit in unnatural positions, with poor posture and minimal activity for extended periods of time. Chiropractors are known to treat any neuromuscularskeletal condition. This means anything that is related to your nervous system, muscles or joints may benefit from Chiropractic treatment. Although Chiropractors are known to specialize in the spine, the biomechanical integrity of the upper and lower limbs is never overlooked and the body is treated as a whole. Strains, falls, accidents, lifting heavy objects and stress are some examples that may cause a joint top become fixated. A fixated joint affects other compensating joints in the body and causes irritation to its surrounding musculature. This often results in muscle spasms, the development of ‘trigger-points’ and nervous changes, such as increased sensitivity. At you initial consultation, the Chiropractor will take a full medical health history. This will consist of questions pertaining to your current complaint, previous conditions and your family history. Next, the Chiropractor will complete a physical exam consisting of posture analysis, range of motion tests, reflex tests, neurological examination and the relevant orthopaedic tests. The information gathered will aid the Chiropractor to find the root cause of your problem and, if necessary, he/she may refer you for further investigations such as X-rays and lab tests. Once a diagnosis is made, the Chiropractor will establish the most effective management protocol. How will the Chiropractor treat my condition? If the Chiropractor determines that your condition is best managed with Chiropractic care, they shall manipulate your fixations. Manipulation is a highly specialized technique delivered by hand and consists of a high-velocity, low-amplitude thrust with a specific vector and at a specific joint level. Manipulations are very safe. You may feel instant relief as natural balance and function returns to the joint and the nerve is ‘freed.’ However, some conditions require more than one treatment, especially chronic conditions that have been present for a long time. 1. Are Chiropractors opposed to medical treatment? No, Chiropractors recognize that often, medical/surgical intervention is the only appropriate treatment option and are qualified to refer when necessary. 2. What is the ‘Cracking’ sound? A joint in the body naturally has a functional negative pressure system. During the Chiropractic manipulation, an audible ‘pop’ may be heard. This is gas/fluid shifting inside the joint and does not relate to the quality of the manipulation. 3. 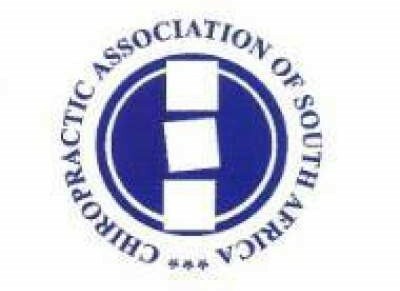 Is Chiropractic covered by medical aid? Yes, most medical aid plans cover Chiropractic care. 4. Is Chiropractic covered by COIDS? Yes, Chiropractic has been covered by ‘Compensation for Occupational Injury and Disease’ since 1994. Any treatment received from a Chiropractor, with or with-out referral and including X-rays, may be reimbursed by COIDS.